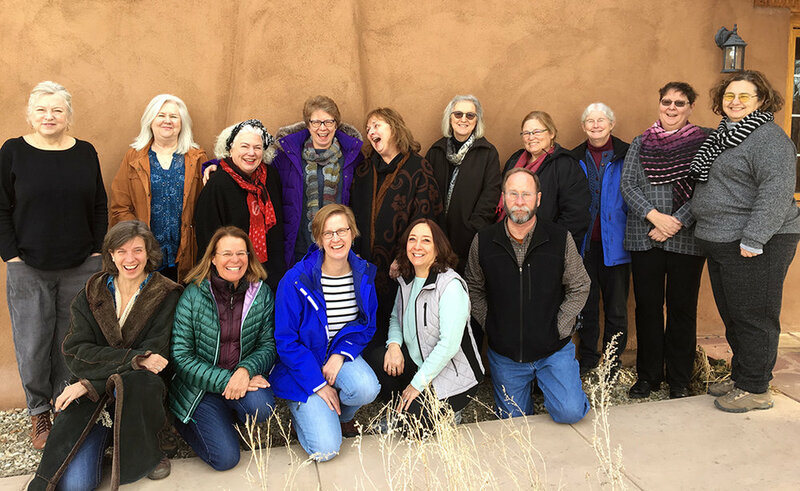 Taos 2019: Color in the Land of Enchantment was a lot of fun. 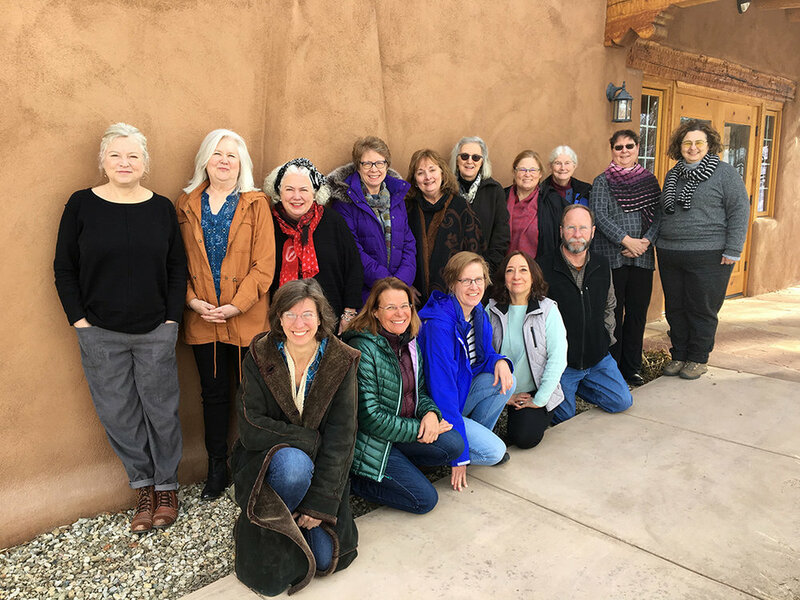 This tapestry retreat in Taos, NM wrapped up earlier this week after five days of experimenting with color. One of my goals for the retreat was to help people lose the fear of color when designing for tapestry. This is a deeply seated fear for many of us—making color mistakes. We believe we are “bad” at color. We remember our elementary school teacher who told us our tree trunks could not be purple. Trees are brown. I am here to tell you that she was wrong. Sometimes tree trunks are purple. We did talk formally about color theory. But we also messed around with exercises in paper and yarn. Color aid paper plus rubber cement* leads to sticky fingers, but also to revelations about how colors interact. Wrapping yarn combinations around cards can also be surprisingly interesting. And if you start moving those cards around, you can create a palette. 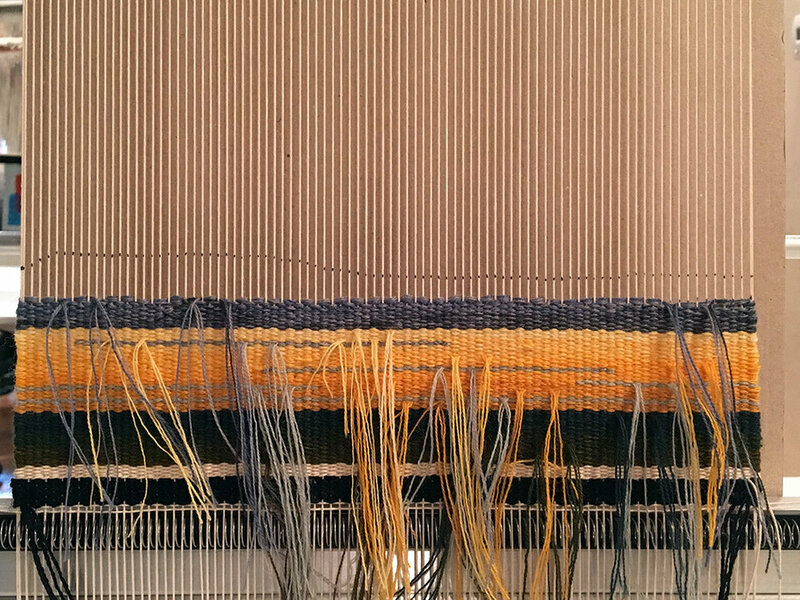 Sure, eventually you need to weave a sample especially for a large tapestry, but we need a simple place to start learning how to do this. When designing for a particular piece, it is important to understand what you are trying to communicate. A lot of that communication comes through color and value choices. 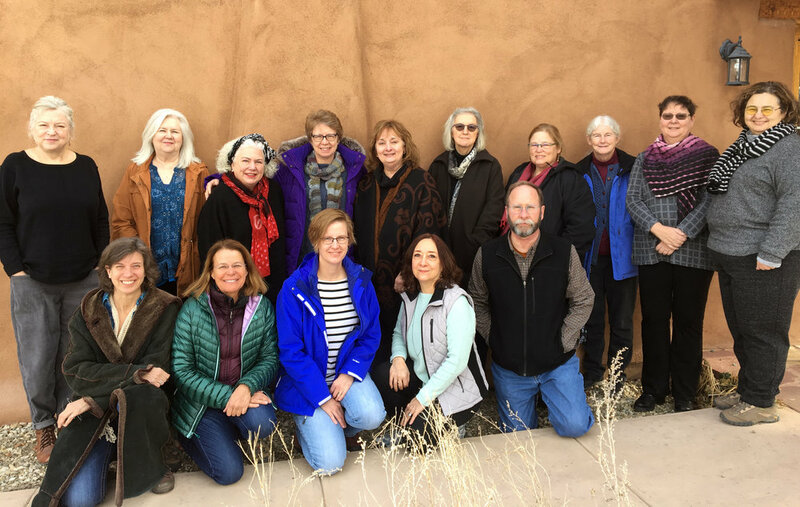 Enjoy the photos from the retreat. I can’t wait until next year! 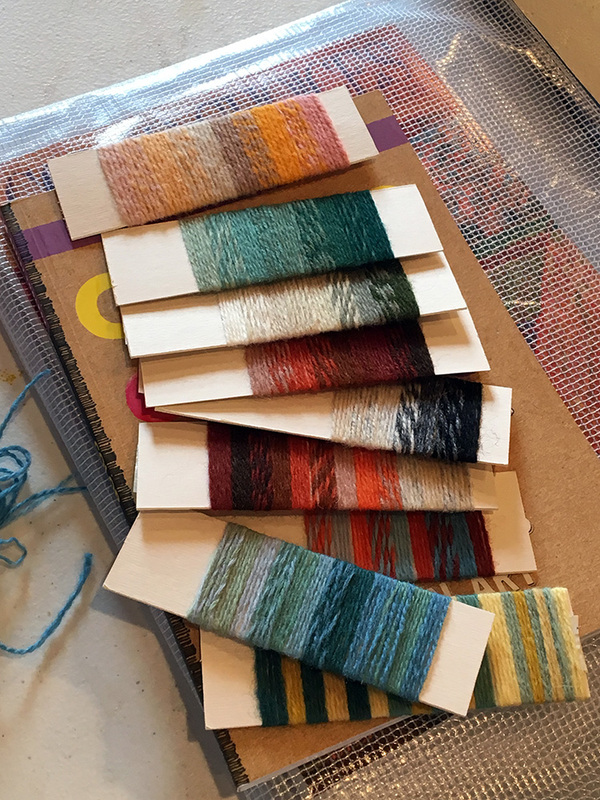 Molly spent some time experimenting with mixes to find the perfect red for a tapestry she will weave soon. Value is so important when it comes to using color. Being able to see the value of a color is something you can practice. 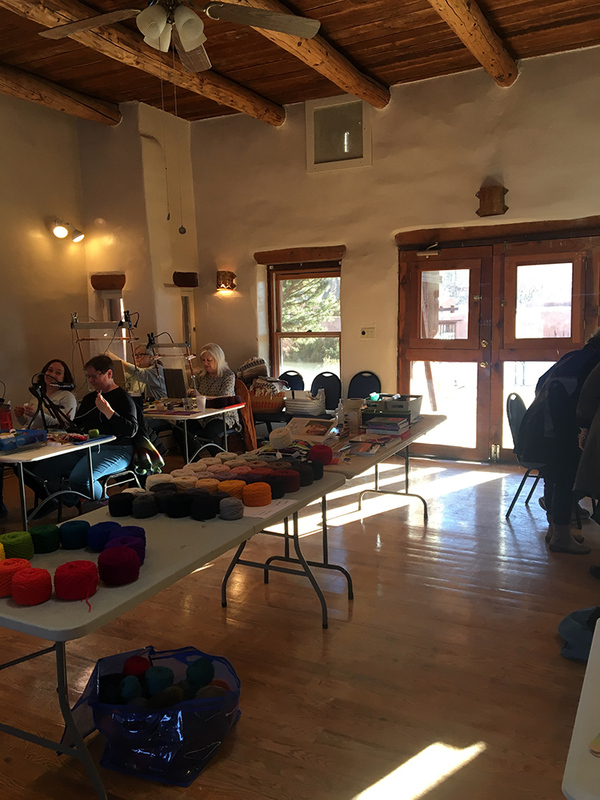 We practiced seeing value with color aid paper exercises, yarn exercises, and with woven samples. We used mostly Weavers Bazaar yarns in fine strands to allow a range of color mixes at an 8 epi sett. Below is the beginning of Karen’s tapestry. She did some yarn wraps when choosing her colors. This was Weavers Bazaar wool and Karen was careful to write down the name of the yarn so she could get more of it. Karen is a painter and has a real knack for seeing how to mix color. I do believe that this skill is more about practice than any kind of innate talent. The more we play with color in yarn or other mediums, the better we get at observing. Karen has been painting for a long time and that shows in her choice of yarns even though she is a relatively new weaver. She has a lot of practice seeing. 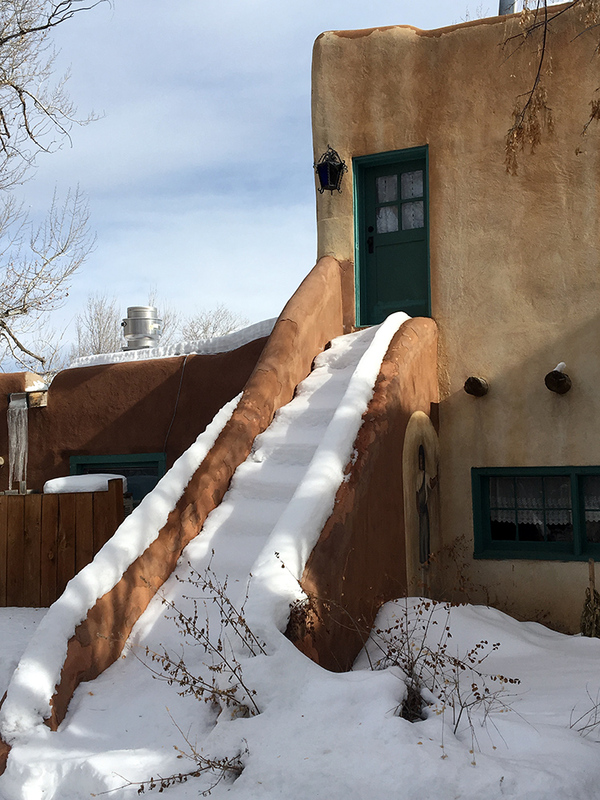 We could see Taos Mountain out the window in the workshop room. I started playing with some yarn wraps mixing colors of the mountain at sunset. It glowed pink every evening. The four-selvedge weaving is started on the left. I wasn’t that pleased with the initial choices but I kept going and it will happily go in my tapestry diary. Every piece for this diary is an experiment in something which expands my skills as a tapestry artist. More yarn wrap examples from Ercil. 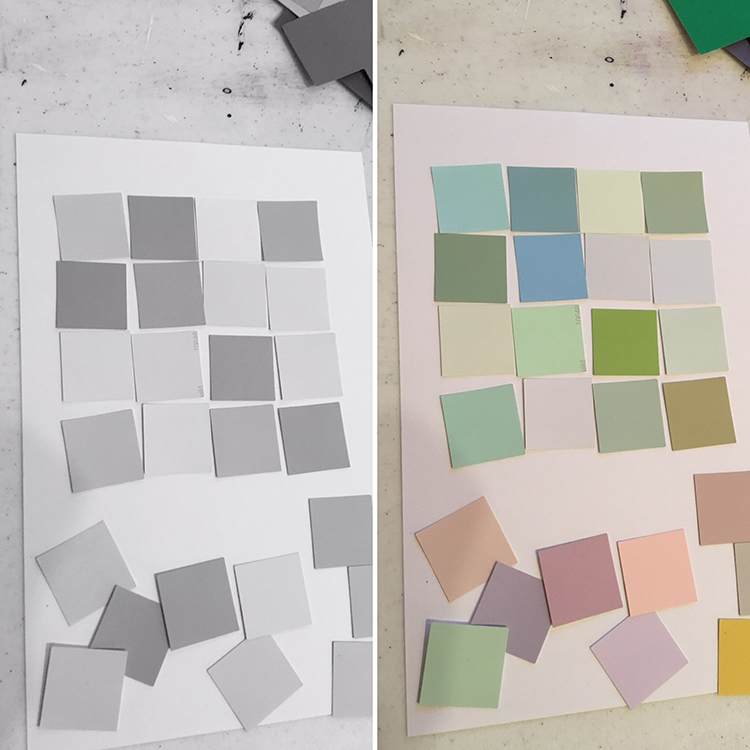 It is an interesting activity to attempt to match paint chips or color aid paper with yarn colors. 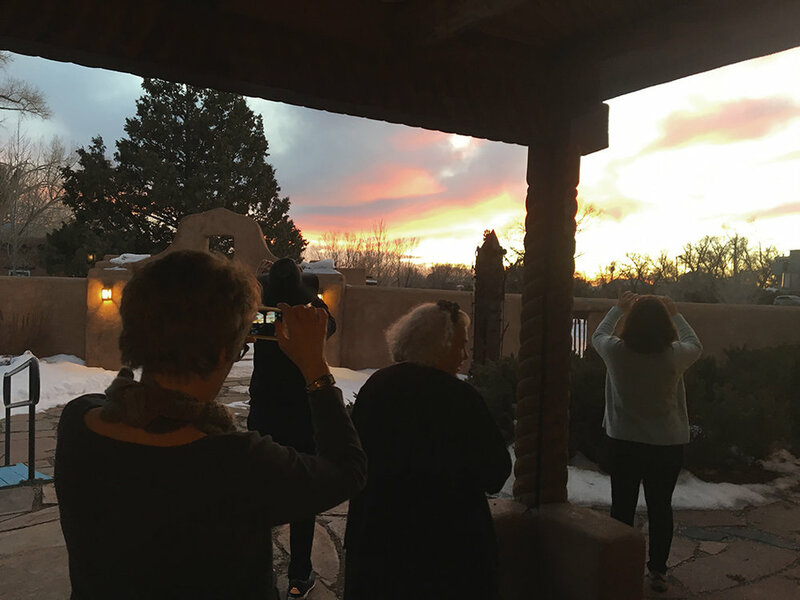 It is just another way of practicing your observation skills. Ercil did a lot of work with paper and yarn wraps. Beth is experimenting with the Spectrum colorway from Weavers Bazaar. Such beautiful combinations! And reminiscent of the colors in the sky that night also. Michelle’s work with value and grayscale along with using saturated colors. And some really fun color mixing at the top. Below is the photo of the whole group. As you may be able to tell, it was a jolly lot of laughing people. They’re also hard workers and much experimentation with color was done over the course of five days. Because there are far too many fantastic examples of what we did and saw, I’ve added more photos in the gallery below. Click to enlarge, hover for captions, arrows will scroll to the next one. 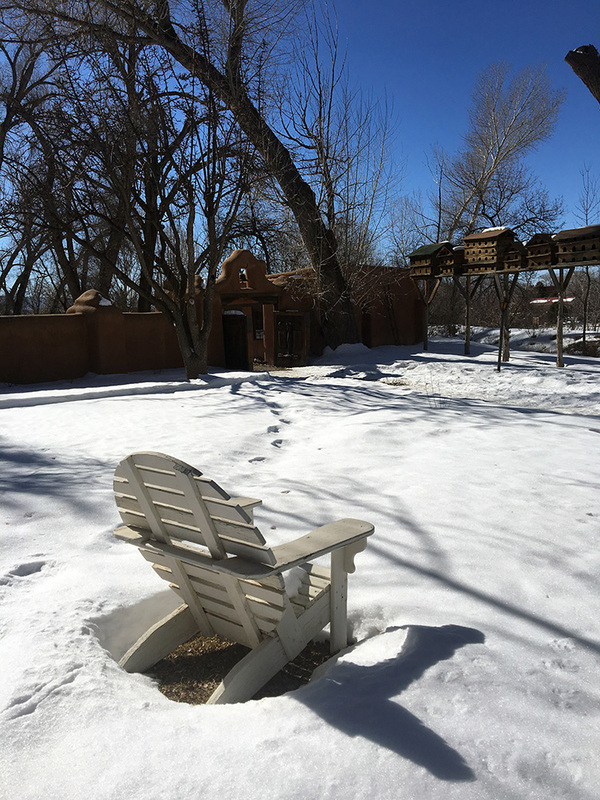 If you read this blog in your email, you may want to click HERE to see the post online where you can see the captions. 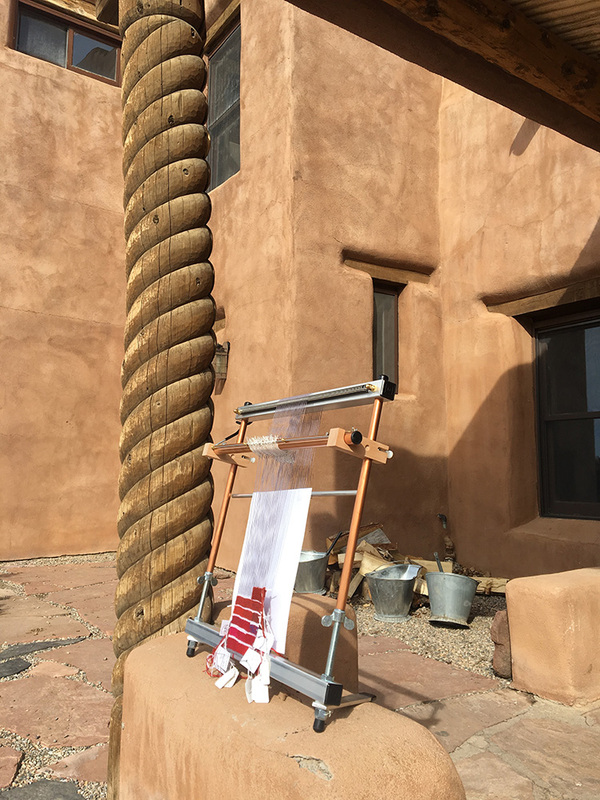 What is your experience with color use for tapestry weaving? I’ll be teaching this material again in September in Vermont. The scenery is different, but the food is just as good! *Did you know that Target clerks get very suspicious when you bring seven bottles of rubber cement to the register? I had to have my drivers license scanned before they would allow me to buy even one.